Open Measures is an online tool which gives business decision-makers the ability to easily assess the performance of multiple entities – such as a business divisions, branches, franchises, schools or individuals – relative to their peers over time. It provides a meaningful framework to measure performance in reference to peers and targets. Because expectations constantly change – and what was rated as good performance in the past may not be as impressive today – Open Measures allows for regular and timely repeat assessments. 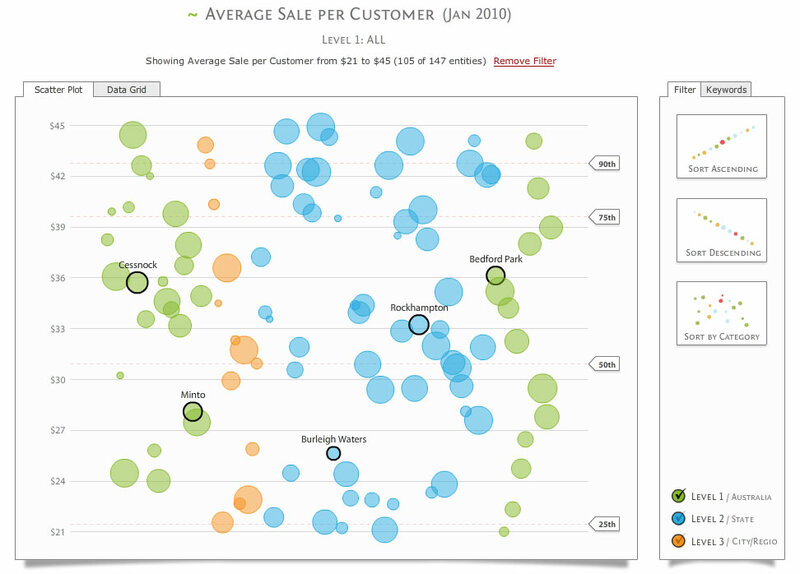 Compare performance against targets and peers for any number of performance measures. View and monitor trends for performance measures over time. 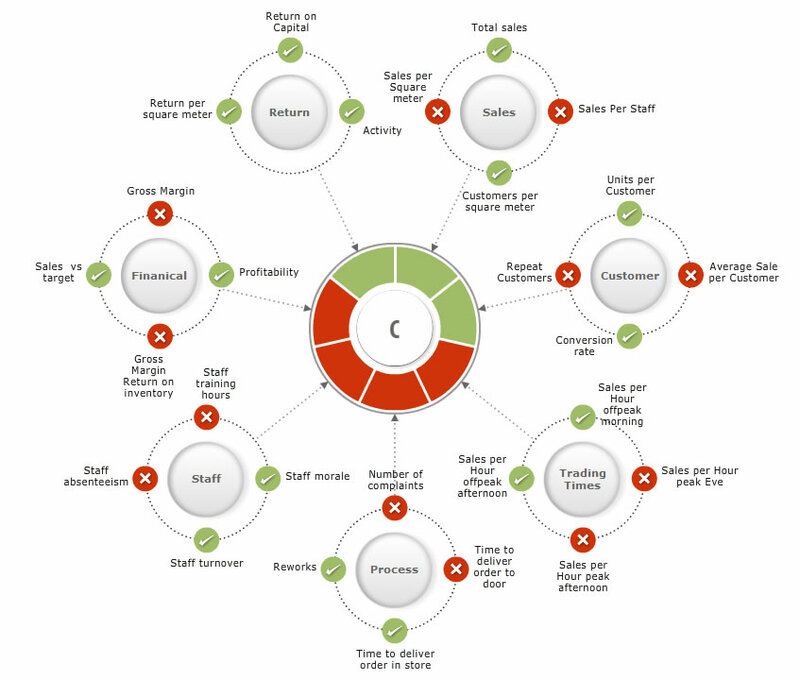 Highlight an entity’s strengths and weaknesses relative to its peers and against its targets using visual scorecards. 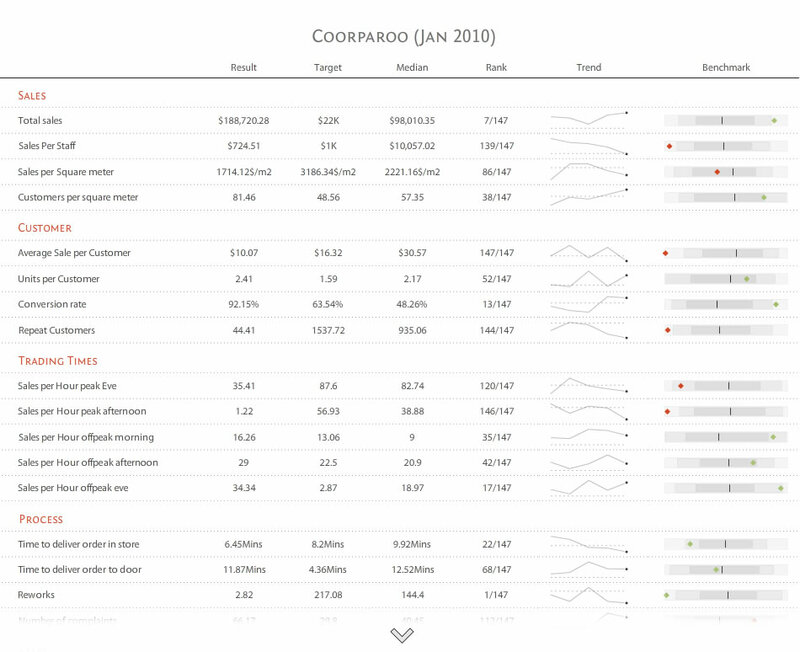 Identify high, mid-level and lower performers and position an entity against its peers using an easy-to-use, powerful and interactive visualisation tool. KPI results are uploaded into Open Measures. Open Measures aggregates the KPI data and then assesses, rates and ranks entity performance relative to peers and targets. Open Measures delivers performance insights to stakeholders. Want to learn more about how Open Measures can assist your business? Please fill in your details, and a performance management specialist will be in contact.